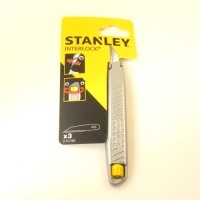 This is a pack of 3 Stanley brand disposable / lightweight plastic craft knives. 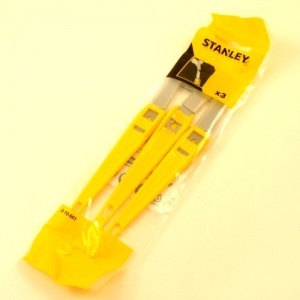 These are suitable for short term use on paper, fabric and leathers of up to 1mm thick. For thicker leathers or prolonged use, please choose a metal bodied knife. Measurements: Whole knife including blade: 140mm (5 1/2") long. 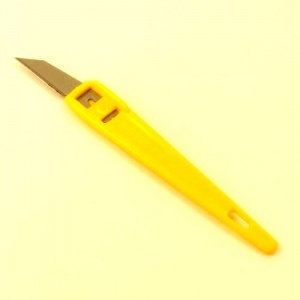 The blade itself protrudes approx 32mm (1 1/4") beyond the plastic handle. 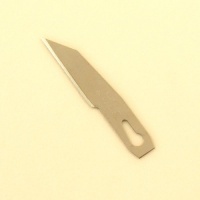 Each knife comes with a plastic protector on the blade.